Pyramid Rock is a private residence designed by Matt Goodman in 2015, Australia that “encourages the occupants to venture outside and experience the landscape”. The building references the simple cattle shelters, which scatter the surrounding farmlands providing protection for livestock in the harsh weather conditions. 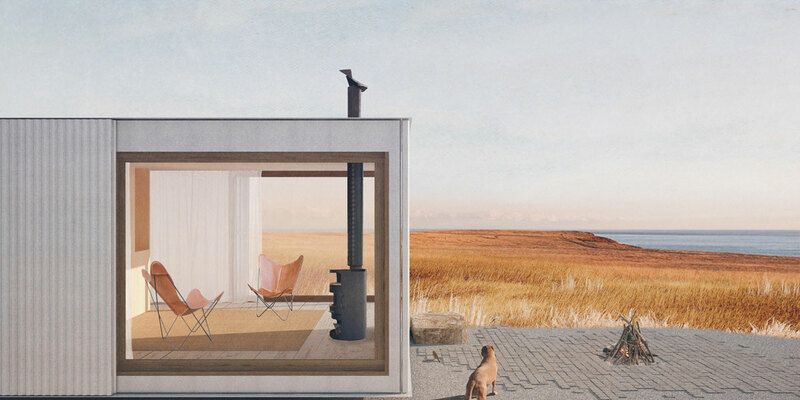 This project is a small cabin in the town of Ventnor on Phillip Island in Victoria. The project is located on 160 acres of farmland, currently used for grazing livestock. The rolling, grass covered landscape slopes down toward the harsh, rocky coastline fronting Bass Straight, providing stunning ocean views. The building references the simple cattle shelters, which scatter the surrounding farmlands providing protection for livestock in the harsh weather conditions. When the three large corrugated sliding doors are opened, a refined glazed internal volume is revealed. Internally, a palette of warm, natural materials contrasts the buildings external, rural appearance. The amenities are minimal, reduced to the bare essentials. One open living room and simple washing and cooking facilities are all that is provided. 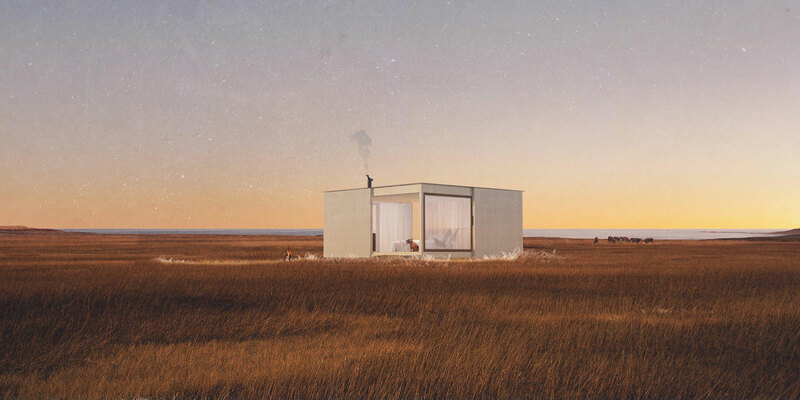 This approach encourages the occupants to venture outside and experience the landscape, only returning inside for shelter and sleep. 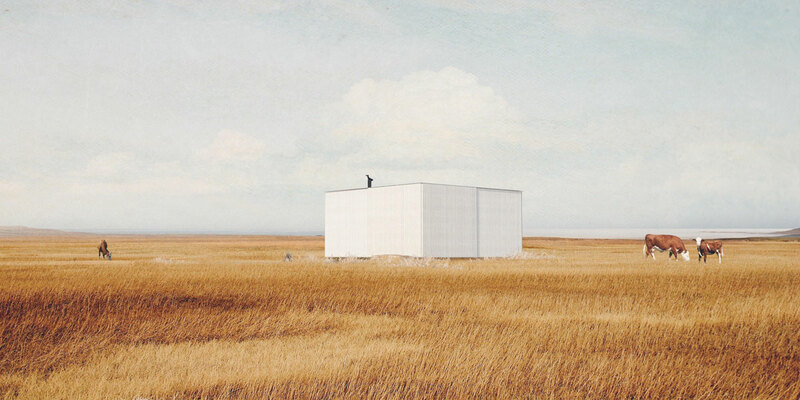 MGAO (MATT GOODMAN ARCHITECTURE OFFICE) is a practice based in Melbourne, Victoria, Australia. With a focus on social and sustainable Architectural projects of all scales. Cite this article: "Pyramid Rock House / MGAO Matt Goodman," in ArchEyes, May 24, 2016, http://archeyes.com/pyramid-rock-house-matt-goodman/.